Who likes acne on their skin! But its not always triggered by dust or dirt. Certain foods could do that too. Here's a list of foods you must avoid to prevent the outbreak of acne. Bread is problematic for many reasons, but for one, it is the main culprit for acne, as it contains gluten. Gluten increases systemic inflammation, which is an acne trigger. Potato chips may be one of the most convenient, quick snacks, but they play a huge role when it comes to acne. They contain way too many carbohydrates, produce a quick insulin spike, and lead to systemic inflammation, which again, triggers acne. Recent scientific studies have confirmed the link between chocolate and acne. The main problem here is sugar, which wreaks havoc on your skin. If you still can't resist, opt for darker chocolate. Milk is one item you really need to steer clear of. Dairy is highly insulinogenic, which means that the body produces quite a bit of insulin when you consume milk. Again, this is an acne trigger. Moreover, it is also a hormone-dense delivery system. 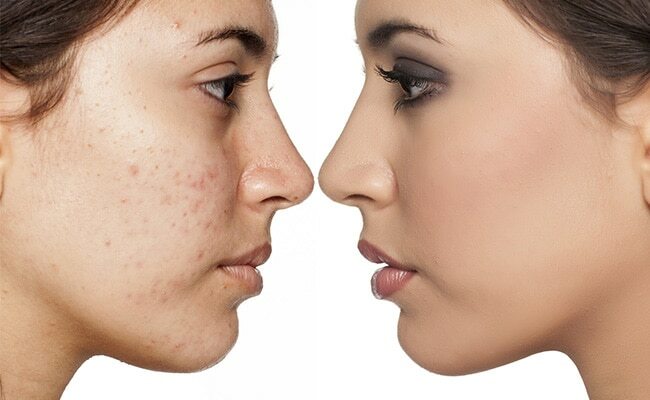 Hormonal issues have been linked with acne too! Also read: This Is The Best Milk For You! Soda has pretty much no nutritional value, and it doesn't do anything for your skin either. It is high in fructose, which is basically sugar, which again, is really bad for you.